When the truck rolled up on shipment days I was always sure to help Dennis, Music Plus’s assistant manager, hump the heavy cases of records from the parking lot to the stockroom. The other guys thought I was an idiot, but I knew something they didn’t: The best way to score good promos was to unpack the shipment. 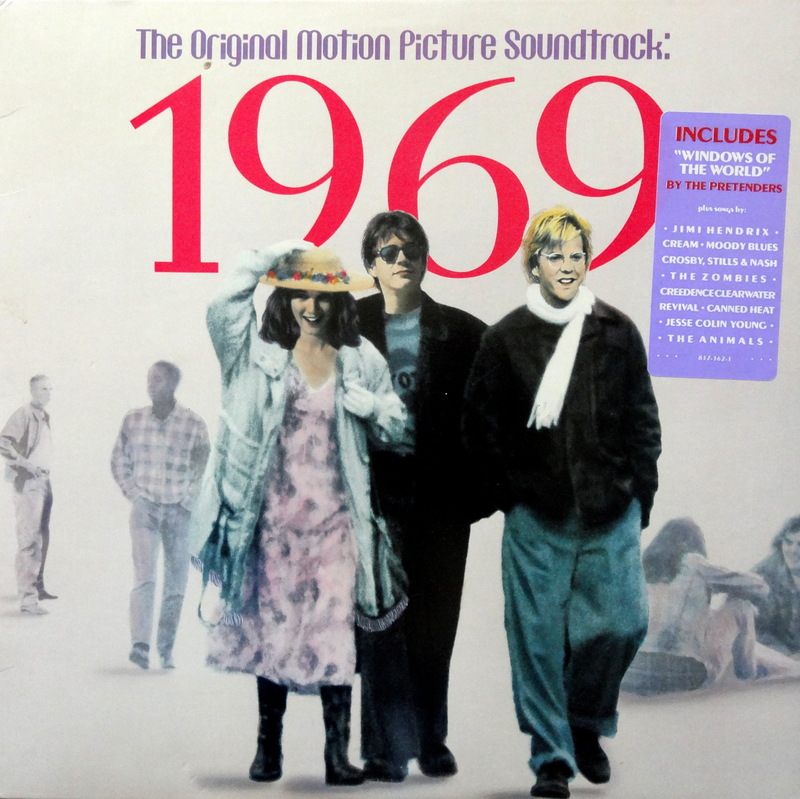 I held up a vinyl promo of the 1969 soundtrack. “It’s out!” I said. “Oh really?” he said, never looking up from the case of albums he was unpacking. After work I rode down Sunset Boulevard, 1969 soundtrack tucked into my jacket, looking for the billboard. I rolled past the Strip—The Rainbow, Gazarri’s, The Whisky—past Tower Records, the Chateau Marmont, and there it was: a giant reproduction of the album cover’s artwork. I sat curbside on my motorcycle and stared, engine idling. I’d never been involved with something billboard worthy. Back home at the Su Casa Apartments Jody and I stared at the album cover and giggled. We didn’t have a turntable to play it on. The movie played at The Beverly Center, a shopping mall with a multiplex on the top floor. The theater was tiny, but the screen looked 20 feet wide. A few other viewers were there, but not many. We sat in darkness and watched our old hometown roll past. Savannah looked good on the big screen. SCAD, my old art school, had a cameo, and occasionally a former classmate popped up in the background. They were still there, still at the Savannah College of Art and Design, finishing their junior and senior years. I was a dropout, as far away from my past life as I could get without a boat. Except for Jody. She was my past life, my current life, my future. We were in L.A. so that she could build an acting career and here we sat, waiting for my moment of big screen glory. I felt excited, and I felt guilty that I felt that. This should’ve been her moment, not mine. I didn’t want to be an actor. Our scene finally arrived. Jody looked beautiful seated at the hippie table. I blurted, “Would you like to trip now?” and it was over. We watched the rest of the movie. It wasn’t very good. We waited to see my name scroll past in the credits, and then we left. Just outside a man from our theater sat on a bench. He looked at us, and then recognition blossomed across his face: You’re the guy from the movie. Those were the only two seconds I’ve ever experienced as a celebrity. The next day during my lunch break I hid in the stockroom and I wrote the director a long letter in my little pocket notepad. It rambled, but the gist was a simple thanks for my two seconds of fame. I stuck the notebook back in my pocket, punched back in, and went back out on the floor to straighten merchandise with the other guys.